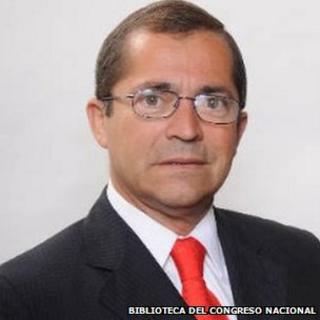 A member of Chile's parliament has been charged with the killing of three left-wing militants during the dictatorship of Gen Augusto Pinochet. Rosauro Martinez was an army captain at the time of the incident in 1981. He led a patrol in southern Chile in search of members of the Revolutionary Left Movement (MIR), which sought to overthrow the Pinochet regime. A gun battle followed in which at least 11 people died, but the exact details of what happened remain a mystery. Mr Martinez says he followed army protocol, but some former conscripts who were with him at the time say he used excessive brutality. The 64-year-old member of the conservative National Renewal party has been a Congressman since the early 1990s, when Gen Pinochet relinquished power and Chile returned to democracy. In June, he was stripped of his parliamentary immunity. That paved the way for his arrest in city of Valdivia on Thursday - the 41st anniversary of the coup that launched Gen Pinochet's 17-year rule. "Chile needs more truth and more justice so we never live the horror of dictatorship again," said government spokesman Alvaro Elizalde. Some 3,200 people were killed and 38,000 others tortured during Gen Pinochet's rule, according to the government.